Enter your info below and click ‘GET INFO!’. You’ll immediately see details of what I offer right away, including prices! 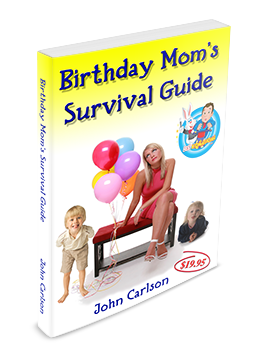 FREE GIFT – When you request information you’ll also receive a digital copy of my book ‘The Birthday Mom’s Survival Guide‘. Request Info And Get A Free Gift! How did you find me? Select Option Personal Referral Online Directory Google Search I’m a prior client Other (write in below) Other What phrase did you search? Who referred you? Which online directory? If you are celebrating more than one bday, please enter both children’s names. What is the name of your daycare / preschool? If you would prefer not to provide your email address at this time, you can call me at 800-269-1106. I would be more than happy to speak with you about my different packages and pricing options and answer any questions you may have. However, due to my busy performance schedule, the fastest and easiest way to receive all pricing and package info is by filling out the form above.